As-salamu alaykum and hello everyone ♡. I just got back from work! I feel restlest for not posting anything today. 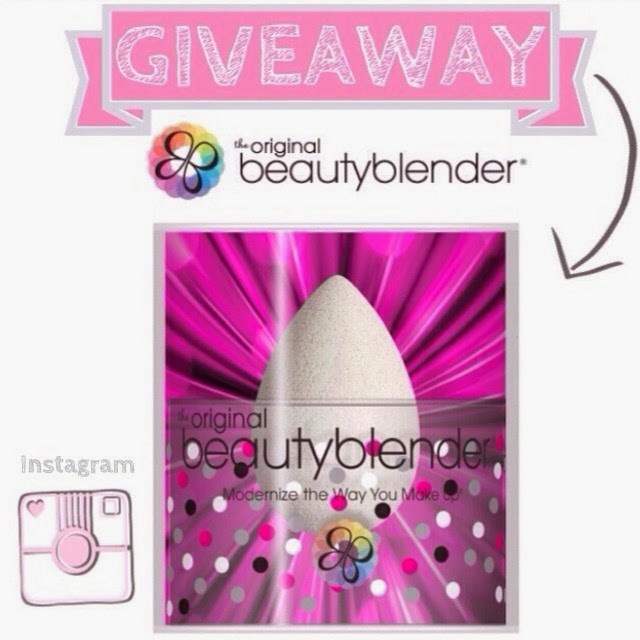 So I guess I write up my review for this holy grail most loveable tool for all makeup junkie, The Beauty Blender. No. No. I am not gonna review a pink egg. Its not Easter Day. I am going to review this magical tool that claims to be a sponge that gonna make you can look like a movie star without the pricey services of a major make up artist. This sponge is invented by a top Hollywood make up artist Rea Ann Silva. What the hell is this pink egg!? Okay, here's a basic explanation. So basically this pink egg shape sponge (also comes in white and black now) is created to give you that awesome application from its suede soft surface and shape for hard reach area and such. This sponge can be use for cream/liquid or even powder for your makeup application. Just like ordinary sponge, but this was created with a unique shape for an ergonomic application and the soft texture for a flawless finish. This sponge was also highly recommend by many makeup artist and YouTube beauty guru. First Impression. When I got this I was so excited because its pink. Well, you know that. This sponge is packaged nicely in a cylinder packaging with a holder inside. Making the sponge looks so prestige! When I first open it, and touch it. *sparkle aaaaa....* came in my mind. OMG! I can't stop squishing it! Its super soft and fluffy just like marshmallow! Your heart just goes, boing boing boing just floats away with its softness! How can I express this... Hm.. Ok, Its super soft! Just... super... soft. Ok stop with that. Back to the review, done with the softness. So this sponge is recommended to be used damp. You can use it dry but damp is better for more softness and your product would not be absorb that much. The idea of the packaging is quite nice, after using it, I put it back inside the holder and close it. It was a bad idea. My sponge becomes smelly. I think it cause by the dampness and no air flowing inside the container. So it was my bad. It is better to use it and wash it immediately to maintain it cleanliness. But I always in a hurry, so what I do is, I just throw it inside the container and I did not close it. In the night, when I am free, I wash it off, try to get rid as many wetness as I could with a towel and place it on a dry towel overnight. Below, this is how it looks before and after its been rinse with water. On the left is how it looks when its dry, smaller but still soft and on the right is after rinsing it with water and squeeze as many water as I could and leave it in damp texture, bigger and softer. In above GIF picture show how soft is this sponge really is! Just imagine marshmallow! What's good about its softness is that, you would feel rough or putting too much effort on applying makeup with this. Below picture shows the application with liquid foundation. Oh yes, this was recommend to be use for loose powder too! I haven't tried that. Overall thoughts. I tried to use it while its dry for experimenting purpose. I hate it. Its absorb my product and cause waste. The application is also so sheer and need a lot of effort to let it come out. Then I wash it back, and use it in damp texture. At first, I kinda okay with it. Because I was using the pointing tips upwards and patting it all over my face. My application is flawless but sheer. I need to put a lot of product out to cover my whole face. Then I tried using the bottom part (*Minion : BOTTOM! ahahahahahah) in damp texture. Its better with this way. My makeup application is more nicer and blends effortless. Then I use the point tip for my under eye concealer application. Its blends super nice, fast and quick. So for overall in terms of application, I kinda like it for blending my concealer more than using it for foundation application. I think its best for blending but not overall application. Its my favorite tool for concealer application under the eye. Its a great tool for beginners as well as professional. Comes to cleansing. Cleansing was a mess on first try. I can't get rid off the product inside the sponge. I was stress out at first. I clean it with my facial cleanser. I ran out of baby shampoo. After a while, I search some videos in YouTube for tips and trick on how to clean this sponge, then I got the idea. I was suppose to squeeze the sponge from the bottom part to the point. After that, I don't find that this beauty blender is hard to maintain. It was easy to clean and to use. Oh yes, Beauty Blender also sells their own cleanser for this sponge, but its a little pricey, many said that the Daiso Cleanser is a great dupe. THEY ARE HAVING A GIVEAWAY! Go to their Instagram to ENTER & know more about it! 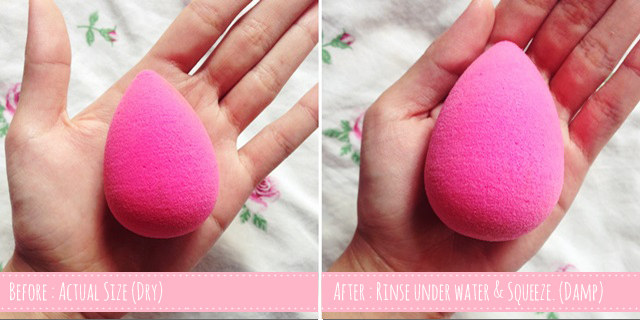 Have you tried Beauty Blender? woooho!!! nak join lah mana tau ada rezeki. BTW, berapa lama lifespan dia Sab since sponge selalu full of bacteria kan? thanks for sharing! Aminn! Oh sab xsure, tp sponge ni mmg tahan lasak even masa nk basuh. Sebab dia macam makeup brush, pandai jaga, tahan lama. So kalau take care dengan teliti, in sya Allah leh tahun maybe 2 year or less kot. Sab xberapa sure about this. I love mine! I got it in a goodie bag and have been using it nonstop since then! really!? that is a good deal! Oh ! Coz it's pink ! Can't resist ! Dalam gambar pon nmpak smooth je tekstur span tu. .
Btw sab, I noticed that you have same problem with mine.which @noreplyblogger.com keep appear and no picture appear next to your entry update at dashboard . You didn't bother about it or you have a solution ? Hi Anis! Oh I just realize this! thank you for noticing. i can see some tutorials on how to fix this, but i havent try. i don't know why its happening. will try to fix it. i also see some of my friends had this. Anis, i try using this tutorial (http://www.flusterbuster.com/2013/02/are-you-no-reply-blogger.html) but nothing seems to happen. :( maybe i can see later for the next new updates? I haven't got the chance to try any beauty blender before. This sure looks interesting. The minus point for me would be its price. hmm.